Your garage door is made up of many parts, which all have to work together for it to function properly. The problem is, when one part goes bad it can negatively affect how every other part functions. A bad spring can cause your door to stop lifting. A bad track can allow your door to jam. A bad garage panel can lead to all kinds of problems. The fact is, any small problem can greatly affect the rest of your door and essentially make it useless. Even a panel that is slightly out of place can, over time, lead to other problems. If you notice that one of your garage door panels has shifted out of place, you should take care of the problem while it’s still small. Like anything else, garage door panels can get old, and over time they get worn out. If your whole door has reached the breaking point, it’s time to start looking for a completely new door. However, if your door is still functioning well and you just have one or two panels that need to be replaced or repaired then we can help you with that as well. Sometimes one of your garage door panels can get cracked or bent. Maybe you accidentally backed your vehicle into the door, or perhaps one of your kids was careless with his bicycle. Garage doors can take a lot of abuse, and sometimes the wear and tear shows. 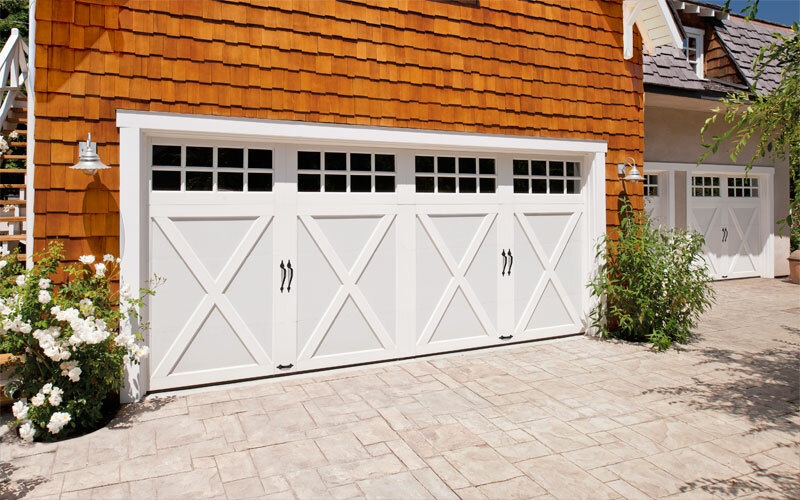 Do You Have a Garage Door Panel Out of Place? Cracks and dents are just a couple of the problems you can have with garage door panels. Another common issue people face is having one panel that has slipped out of alignment, which causes an uneven gap in your garage door. This might not seem like a big problem, but over time the gap can get worse. It can eventually cause your garage door to tilt one way or another, and that can end up putting unwanted pressure on another part of your garage door, which will only lead to more problems. The best thing to do if you see a small problem with one of your garage door panels is to get it taken care of as soon as you can. Affordable Garage Door Inc. can help. If your garage door has a busted panel, or one that just won’t stay in place, call the experienced and professional team at Affordable Garage Door Inc. for assistance. 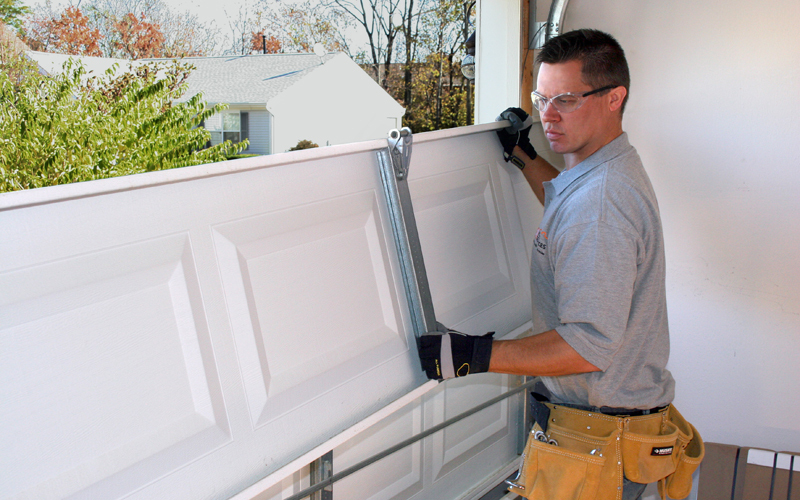 We are a full-service garage door company, and we can either repair or replace your uncooperative garage door panel. If you need any kind of garage door repair or garage door replacement, please let Affordable Garage Door serve you. Just give us a call in Lowell today at 219-696-4279, or click here to contact us online. We also are experts in Garage door installation, so contact us if you need service in Cedar Lake, Demotte, Crown Point or the entire Northwest Indiana area. We’ll make sure your garage door always opens.